Even though it ended 11 years ago, Gilmore Girls is more relevant today than it was when it aired. Don’t believe me? The Gilmore Girls reboot was the most binge watched thing on Netflix in 2017. And every year, 1,500 people from around the world travel thousands of miles to a small town in Connecticut (with no cell service) to celebrate, debate and gather around this great love. 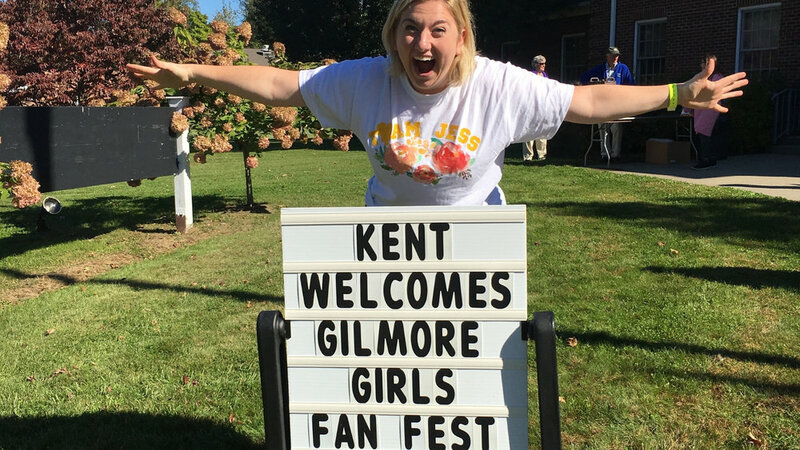 This is Gilmore Girls Fan Fest. There’s nothing more relevant to Gilmore Girls fans than Rory’s love life. This is very convenient for me, a professional matchmaker and dating coach who has watched the show about 125 days of my life. Rory Gilmore, daughter to Lorelai, granddaughter to Richard and Emily, had the most fan-debated dating life in the seven seasons of Gilmore Girls. As I grew into my career, the debate over Rory’s boyfriends started to piss me off. The conversation was too surface level and revolved around who fans wanted to bone, not who actually helped Rory grow. For those of you unaware, welcome to this vibrant, obsessive subculture. To catch you up, there’s Dean: Rory’s first boyfriend, very supportive and really into her, sometimes in a stalkery, 16-year-old boy way. There’s Jess: Rory’s second love, Stars Hollow’s resident bad boy full of unresolved daddy issues. Finally, there’s Logan: Rory’s college boyfriend who, before Rory, had a second robe in his bathroom for overnight guests. Logan was wealthy and didn’t want to be kept, until, you guessed it, Rory. For those of you in the know, I’m sure you have a boat-load of opinions just on the first half of this post. Welcome, friend. Every answer predictably is about who that person would date, who they found sexiest or nicest. With fresh professional dating expert eyes, I now know that the debate up until now has completely missed the point, and I’ve taken it upon myself to right this wrong. Download the Brazen Rory Method! 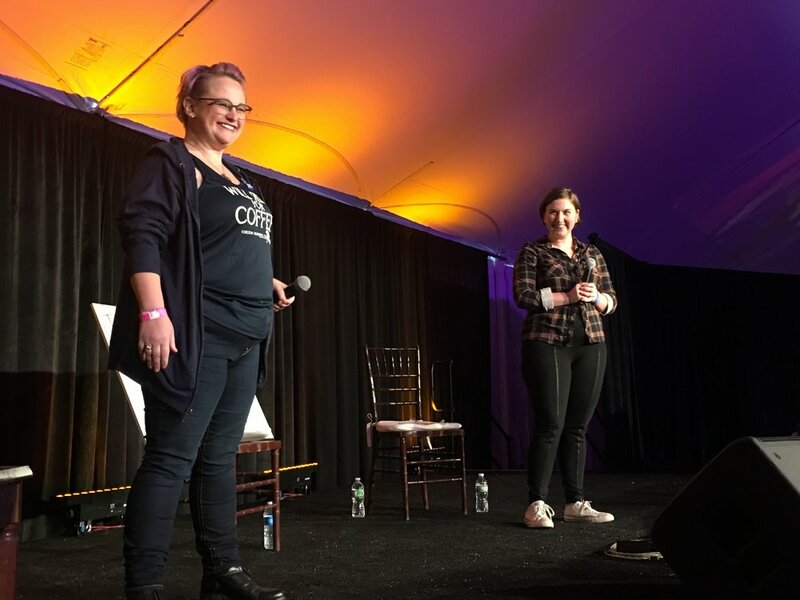 Date Brazen brought this conversation to the forefront at the biggest Gilmore fan gathering to date: Gilmore Girls Fan Fest 2018. With my co-host Dawn Biggs, I hosted a debate called “Rory’s Boyfriend Town Hall Meeting.” Dawn is the inspiring, hilarious Chilton Running Club founder and is so obsessed with the show that she named her daughter Rory and moved to a small Connecticut town. Each question of this debate was designed to give fans an opportunity to look at Rory’s love life like a matchmaker and dating coach, which meant focusing on who helped shape Rory, not who you would most like to bone. With 900 audience members, two microphones and four sets of questions we were ready. The conversation focused on who was best for Rory before getting into a relationship, who was most supportive during hard times and who inspired more development and fulfillment. Things got intense. Opinions were inflammatory. With all the whooping and booing, it was like being on Maury. In the end, the votes were tallied, and Jess won. Followed closely by Logan, and not close at all by Dean. Obviously, Gilmore Girls is just a (brilliant, iconic, going-to-last-forever) TV show. But I designed this conversation to do more than settle the score on Rory’s boyfriends. This debate encapsulated why reflective date coaching can transform your understanding of past relationships to give you the information you need to find the love you deserve. After working with hundreds of women, I know that intentionally examining your relationships through the “Rory” lens can have a massive impact. The effect of this practice is that afterward, we are more likely to be aware of the kind of love we need, to ask for that love and support, and we give more in return. The best relationships happen when we are supported, heard and encouraged to grow. And if you’re ready to do the work, the solutions you seek to a crappy dating life are ready to be found in your story. If you’re interested in doing this work, you can right now! Click below to download the “Brazen Rory Method." So you can finally get on finding the extraordinary love you deserve and say “See ya!” to the rest. Your guided deep dive into past relationships so you can gain clarity, confidence and a new perspective, getting you closer to that next awesome relationship.